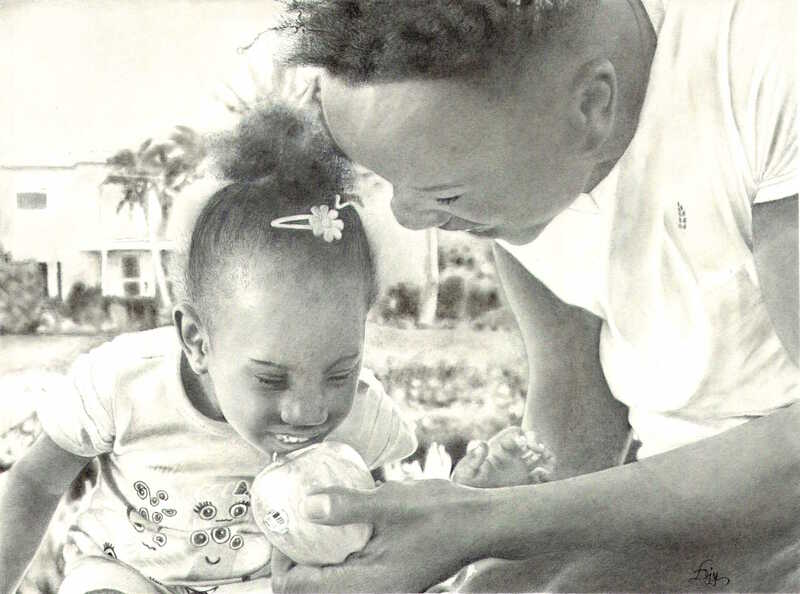 On May 3rd, Louidjy Hyppolite’s photorealistic drawing titled, “Food for Change” was selected as the 1st-place winner for the Feeding South Florida’s inaugural “Summer Hunger Ends Here” art competition. The announcement was made at a special event that transformed the 72,000 square-foot warehouse into a spacious gallery featuring dozens of art pieces by students from South Florida’s high schools. Inspired by the prompt, “what does summer hunger look like?” their work crossed every medium from graphic design to acrylic painting to tackle the complex subject of this critical issue. This story resembles the ones shared by other participants in the contest, like second-place winner Melissa Fernandez from New World School of the Arts and third-place winner Maria Guerriere-Maril from Boca Prep International High School. The reality of summer hunger, when students lose access to free or reduced-price meals, is well-understood by the artists who live in affected communities, and the desire to apply their talent to making a difference was a uniting theme at Feeding South Florida’s “Summer Hunger Ends Here” Gallery Night. Many of them saw their art as a way to speak up on their community’s behalf. In the end, both Louidjy and his rambunctious cousin got their wish.